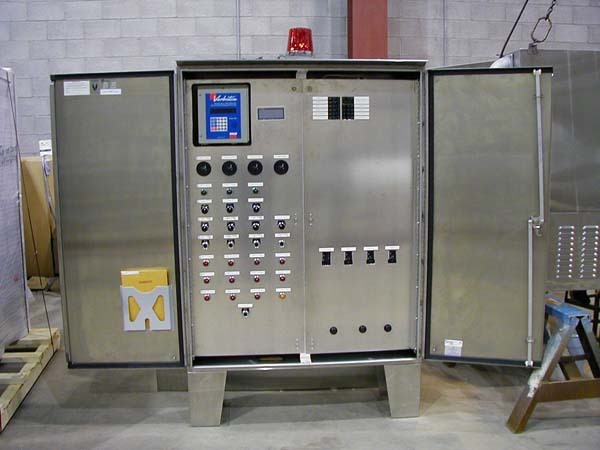 USEMCO control panels are designed, assembled & tested in our factory to provide years of dependable, trouble-free operation for your water or wastewater pumping stations. U-PACK™ panels are provided with high quality components with options available that meet job specific needs. 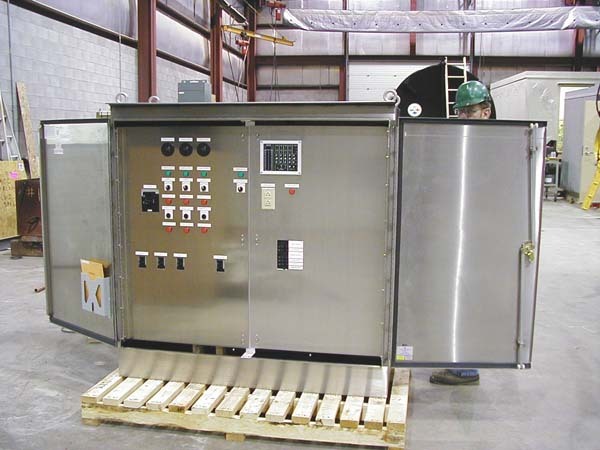 USEMCO panels are built with various control schemes including floats, transducers (submersible or ultrasonic) or bubbler inputs. USEMCO’s® application experience creates user-friendly systems with the appropriate indicators for ease in operators control and maintenance. You tell us the features and functions you would like to have and USEMCO provides the solutions, and backs them up with guaranteed performance and support. USEMCO Inc. is an UL#508 / 698A control panel manufacturing facility with the capability to label control panels relating to hazardous locations with intrinsically safe extensions. Sentry is specifically designed to control multiple sewage pumps in a pump down mode. 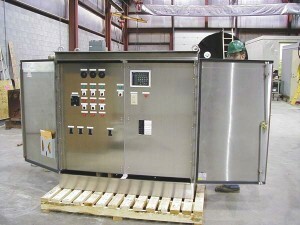 It includes a flow algorithm which enables the operator to monitor pump activity and flow rates. Sentry accepts standard inputs from various level transmitters, is SCADA ready, UL approved and uses nonproprietary hardware. Screen navigation designed for field personnel. Manuals are not necessary to make changes in the system of record data. Instantly check the parameters and condition of the entire system or individual pumps. Wetwell levels; pump speeds, events and test cycles. Keeps the operator informed of alarms and other events such as automatic flush cycles, and tests. As many as thirty events can be displayed. Calibration screen displays changes asset points a readjusted. Up and Down arrows permit easy error free adjustments. Password protected, scalable analog input, pump designations, ramps, set points, delays, pump faults, redundant float control. Operational levels and set points are displayed as a systems multiple bar graph. This allows for instant identification of overlapping set points or system misconfiguration. Innovative help screens aid the operator at any point in the system. Operations setup, routine maintenance, alarms and events a recovered.